Former Ohio State head coach Urban Meyer was announced last month as having a new assistant athletic director role in the OSU athletic department. His job will be multi-layered across the entire department. There will be fundraising, mentoring, and perhaps most importantly to Meyer, an infusion of his Real Life Wednesday program throughout the department. As both Meyer and head coach Ryan Day have said, however, he will also continue to have a role within the Ohio State football program. “I think the first thing is he’s built this over the last seven years,” Day said. “The culture that he’s built is amazing. We’ve kept so much in place. That’s been part of this thing. The philosophies that he has and I have are in line. His footprint is on this and will be for a long time. When you bring in four new defensive coaches and two new coordinators as Ryan Day has done this winter, you can expect some changes defensively. When Everett Withers was the defensive coordinator, he had his style. When Chris Ash came in, he changed things to his preference. Over time, so did Greg Schiano. Now with Greg Mattison and Jeff Hafley at the helm, changes will once again be the order of the day. One of the changes will be how Ohio State defends the pass, particularly the notion of being strictly a press-man team at cornerback. 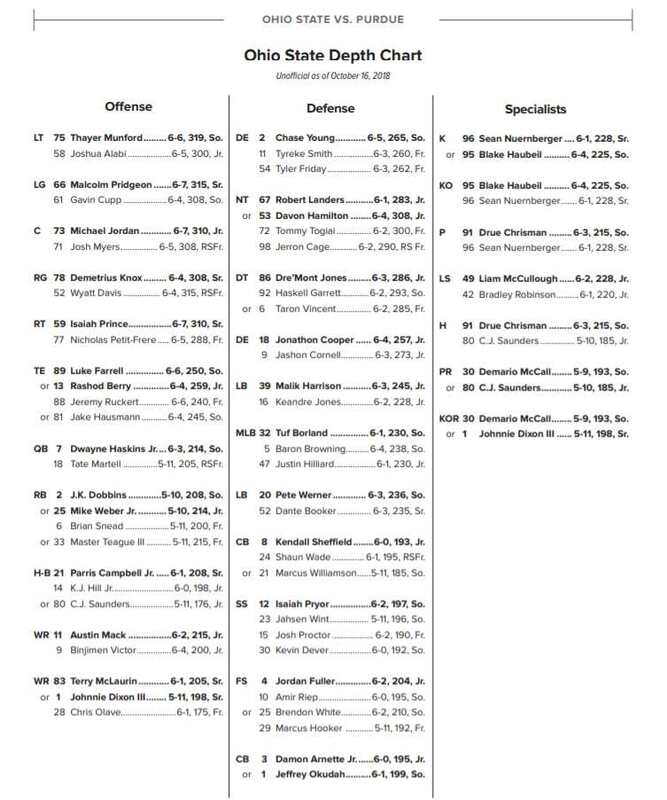 The Buckeyes were a bit more multiple last season than they had been in the past, but under Hafley, it appears there will be even more mixing of coverages. “I think spending the last seven years in the NFL I watched a lot of these [Ohio State cornerbacks],” Hafley said. “I’ve studied them as I got ready for the draft and the combine and I’ve watched them play press and they’ve done a great job. They’ve been coached well and they’ve obviously been very talented. Ohio State will be starting a new quarterback this season, which means there is a large unknown for the Buckeyes. The job will most likely be won by sophomore Justin Fields or redshirt freshman Matthew Baldwin, and neither has ever played in a game on the Ohio Stadium turf. While the two quarterbacks may largely be an unknown to Buckeye fans, they are not an unknown to OSU’s freshman receiver Garrett Wilson. Wilson was a year behind Baldwin in high school at Lake Travis in Austin, Texas, so he knows him very, very well and thinks very, very highly of him. As a mid-year enrollee with Fields, Wilson has also gotten to know the newest Buckeye signal caller. What was Wilson’s reaction to the news that Justin Fields was going to be a Buckeye? Imo, part of the problem with the secondary in 12&13 was player turnover. A couple Transfers, couple injuries, and we,are down to Pitt Brown as the best free safety. Thank god Tyvis Powell stuck with his commitment or we would have been screwed even worse. The other part of the problem Fickle is old school, old school thinking was when evenly matched, go with the more senior or experienced player despite the talent level. I think Fickle was more adept @ identifying talent slightly over his developmental capabilities. This thinking was rumored to be why Mike Mitchel transferred, Meyer years later acknowledged it was up to the coaches to get players ready to play. Vonn Bell doesn’t gain enough experience playing special teams, nothing replaces game reps. This type of thinking cost us at least 1 Natty. Haskin’s should have been getting game reps throughout 2017 with the intention if he did well enough he could possibly be ready to start against the Clemson’s of the world. 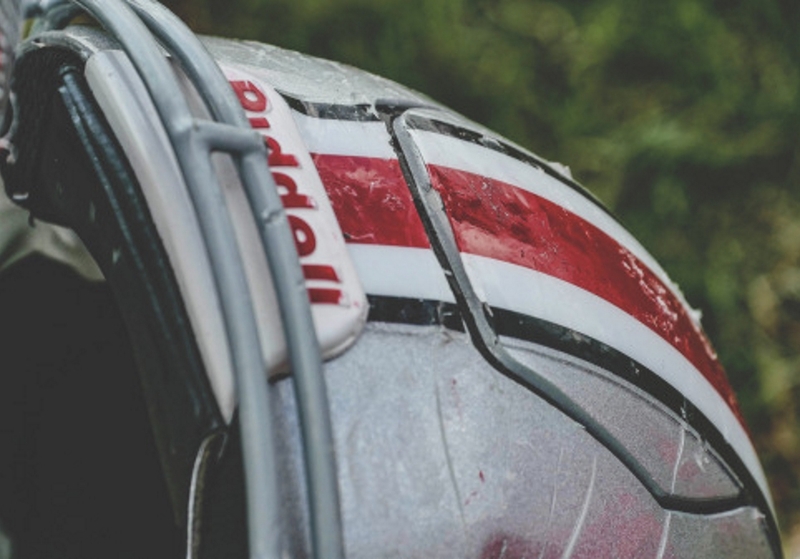 After the 31-0 wake up call, what does meyer do? He declared JT the starter before spring practice. What does that say to the guy’s behind marginal starters? Clearly JT had issues throwing on time. I had no idea we even had crossing routes in our playbook until Haskin’s had to bail us out in aa. All the time i thought they were hitch routes because the ball was either behind the wr or off target making the wr stop in his route. Haskin’s is the #1 and only reason zone 6 was so successful and the fact all those QB runs became passing plays giving tge receivers more opportunity as well. Jt was an awesome leader and a great buckeye. He just couldn’t throw on time or accurately consistently enough to be effective versus the elite coaches and players. After 5 years he still couldn’t throw to the back in the flats on time and in stride, which is more about arm strenght imo. Thats where Haskin’s excelled @, hitting receivers in stride. Schiano when Luke Fickle was there. He ran the defense they assisted. See what happened after he left? Everett Withers and Luke Fickell were co-coordinators in 2012 and 2013. Chris Ash was brought in in 2014 and he brought his quarters defense to Ohio State. Ash also brought in rugby tackling. When Ash left, Schiano came in as a co-coordinator in 2016 with Fickell. It’s critical to the structure of a defense to have a very good defensive front. Doesn’t matter who the Coordinator is if the line isn’t well coached and well manned. It’s the anchor of the defense. Where Luke Fickell came in was that he played along the defensive front and assisted Jim Heacock with DE’s before sliding back to take over linebackers after Snyder left. Luke’s valuable mentoring under Heacock and operating DE’s, especially with his ideal’s on the use of a viper on either switch or coverage drop. The stunt can cause a young quarterback trouble with his pre snap reads and post snap adjustments. It’s tough for a newbie QB to assess how the coverage scheme will either alter or eliminate outlets and/or the TE. Luke Fickell’s use of the Viper helped him with critical education toward the Linebacker positions. He got extremely good at it and read offenses as proficiently as we can read Jack and Jill beginners reading books. Luke turned his unit when he became linebacker coach into a machine of proficiency and his playing experience and and assistant DE coach made it simple for him to mold the front 7 into a something pretty special. His weakness was teaching the DB’s. Urban recognized it and went and found a good fit for the aggressive system Luke and Larry Johnson wanted to run. Schiano was a train wreck without Luke Fickell. Last year it looked for all the world as though Schiano tried running variations of the 5-2, 5-3, and a 6-2 defense. All 3 are disastrous against short passing teams, and especially true when your MIKE isn’t efficient. That leaves the entire middle of the field vulnerable to get gashed. That’s even more true when the DB’s are playing press man coverage. Without Luke and having one of the very worst judges of talent, with little to no development skills mentoring at linebacker in Davis, you get what we saw…………an “exotic” throw back to the 1930’s – 1950 style of defense. that rarely worried about a timing passing game or the speed and power of todays tailbacks. Later in the year it then looked like he tried to mix in some tampa 2 defense to try and curb the gashes. Pretty dumb idea with a MIKE linebacker who was obviously not playing at 100% and with virtually no wheels to drop back into deep coverage, especially. Fickell would have never made such a blunder. Instead he would have opted for a KISS approach. Take away the multiple looks and reduce the defense to playing as basic fundamentally sound unit. That’s what made Luke a terrific coordinator and why he was the architect of the defense under Urban Meyer. Chris Ash came in and married to DB’s to Luke’s basic ideals. I don’t care what title was given to Ash, or Schiano. Luke Fickell was the DC and a damned good one. That’s why he went after Marcus Freeman. Marcus only really understands a basic fundamentally sound defense, because that’s what Luke taught him. Ash, Fickell and Johnson were ALL on the same page, and after Coombs’ 1st forgettable year, he molded his idea’s into a basic, fundamentally sound unit. Plenty of fans wanted Luke Fickell fired until Chris Ash’s defense came along tho.Meyer was even asked on more than one occasion in 2012/2013 if Fickell’s job was safe. Goes to the whole ‘one rotten apple can spoil the whole bunch.’ One rotten assistant coach can make a coordinator look pretty damn bad. Btw, Ash’s quarters defense gave new roles to the entire back seven and helped make Darron Lee a star. And Fickell did a great job calling the defense. Yeah, I know the role that was created for Darren Lee. Chris Ash did a fantastic job marrying the middle 3 with the DB’s. No problem at all with how they incorporated different idea’s and implemented rugby tackling. Many times I read about Luke’s job being in peril. I’m certain that Urban wasn’t a happy camper watching the defense get shredded. In ’12 and ’13 there was an obvious failure in the secondary. In the second year. I think once Urban got to sit down and really look at it he realized that his Assistant HC/Co-DC was the problem, not his linebacker coach/Co-DC was where the problem was.. For YEARS fans had been boohooing Luke, but, rewatching games, counting the All Big 10 and AA linebackers Luke had produced, I never understood the hat he got. 2012 and 2013 happened behind the linebackers. Do they share in “some” of the blame. Yeah, I think so, but the lions share was Withers and Coombs. The progressive “getting better” every week in 2014 erased all doubt that Withers was the negative catalyst seeing how Chris and Kerry turned a pathetic secondary into a growing monster throughout 2014. Hell, Luke Fickell isn’t even AT Ohio State anymore and there remains a good sized group of Buckeye fans who STILL want him fired…………..and they’re still wrong. I’m going to enjoy watching Coach Hafley go to work on the secondary under Mattison’s tutelage. Pretty disappointing watching the 2018 corners and safeties. I’ve been friends with Taver for a bunch of years. I KNOW he can coach, but, he’s more of a zone coach than a man coach. He CAN coach man, but he’s nowhere near as proficient at it at the level Playoff contenders have to be. Added to that, when things looked sour for the secondary, Grinch seemed like he was looking for a way out. Davis was without almost every excuse, except he didn’t have a clue how to target and develop linebackers at the College level. So maybe ALL of the fault doesn’t belong to Schiano, but, his responses during pressers painted him as clueless and incompetent. Coombs was a good soldier in 2012 and 2013 touting Withers’ off-man coverage, but he was happy to get back to press man under Ash.